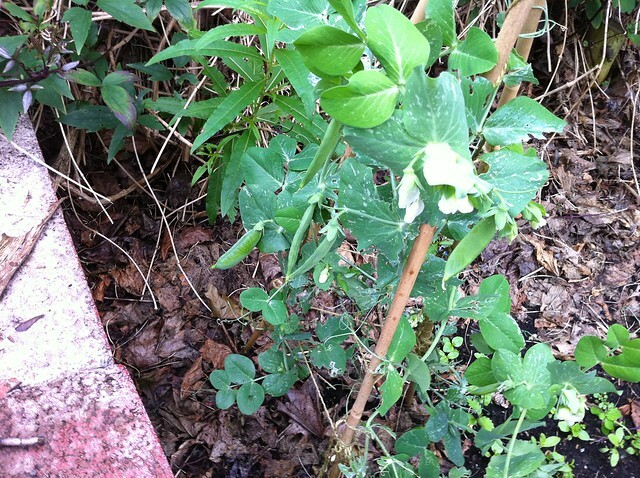 The vegetables are starting to come into their own now, the peas have pods. I have had a couple of harvests of the odd pod here and there. They taste delicious, and I already am trying to work out how I could get a better harvest next year. 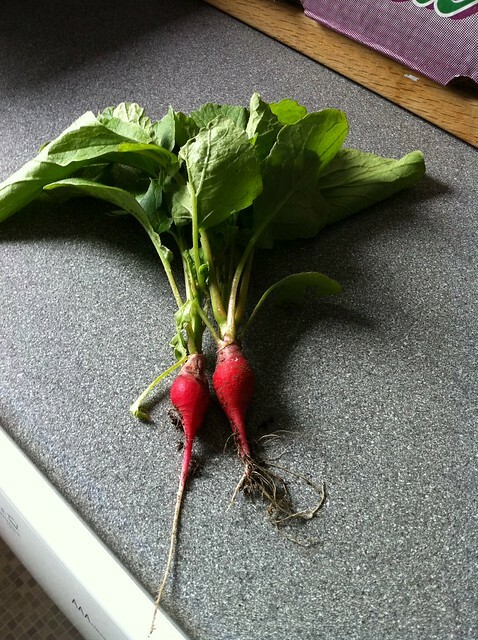 The original radishes and beetroot didn’t survive the greenhouse-wind related incident, but the second batch of radishes were good. I am trying to put more beetroot in, but I think the terrible rains washed the seeds away. They take a little longer to germinate so there is still hope yet! The original tomato plants avoided disaster in the greenhouse but inside are taking a lot longer than expected. Out of the three remaining plants one is huge, has buds, but isn’t flowering yet. 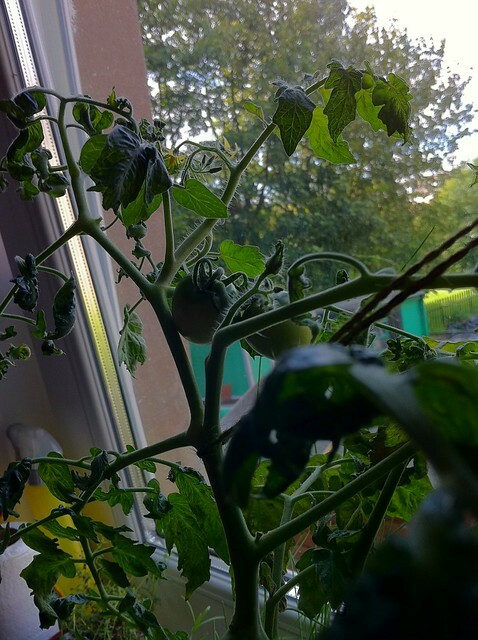 Another is quite small but has two tomatoes that are turning ripe. The third plant was going swimmingly but then suddenly got infested by tiny little flies that killed off the foliage. In the end I chopped off all the affected plant (more than 60%) and it’s starting to come back – but I doubt I’ll get any tomatoes from it now. 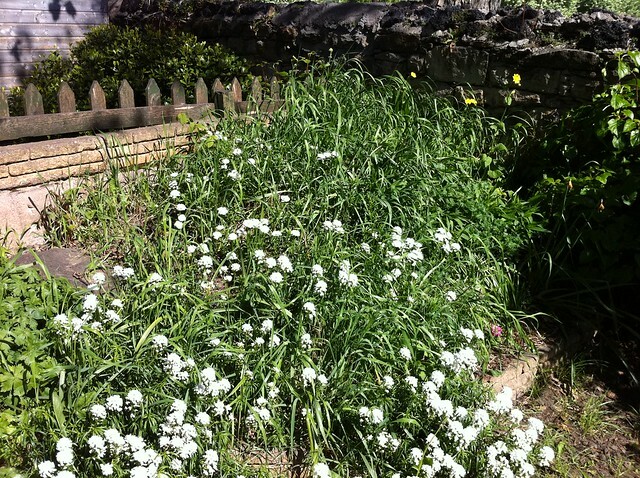 Spring onions which I decided to add to my plot after seeing the seeds reduced in B&Q are growing really well. I chopped one into a stirfry last week! It’s strange that now summer is finally on us, I am immediately starting to think about autumn and winter, what vegetables can I grow then? Is there any point when they could end up under a foot of snow? 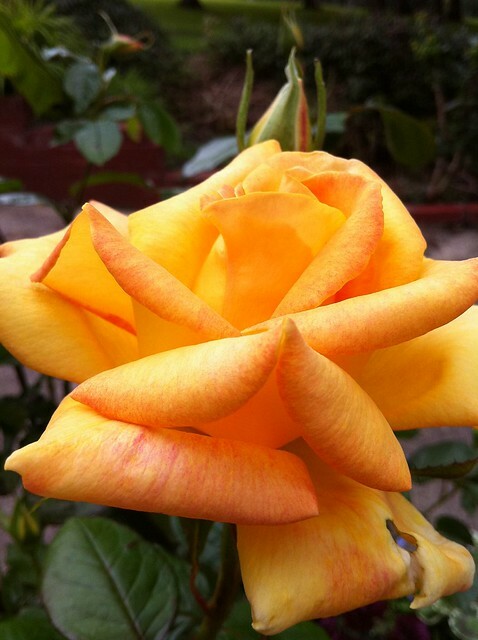 You can see all my summer garden photos on flickr.